In partnership with a network of international experts, we organize or help organize over 15 conferences that tackle major scientific and medical issues, and are attended by some 1,500 people every year. Our conferences aim to share knowledge, and to accelerate the dissemination of best practices and scientific advances in global health. 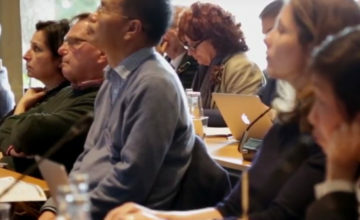 Most of the conferences take place in the Mérieux Foundation conference center near Annecy: Les Pensières Center for Global Health specialized in hosting international events in the field of health. Vaccinology Conferences, the Foundation’s core expertise. 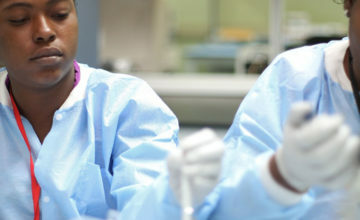 These conferences are held in partnership with Sanofi Pasteur: there are three every year at Les Pensières, and a fourth held alternatively in Latin America and Asia. At the conferences, vaccinology experts grapple with issues in prevention policies, the implementation of vaccination programs, and vaccine acceptance. Expert debates in response to a health emergency, and in particular when new infectious diseases emerge like Ebola, the Zika virus, or MERS-CoV (Middle East respiratory syndrome coronavirus). National public health events, for which we offer scientific and/or operational support. Launched in 1986 by Dr. Charles Mérieux, the Cent Gardes Conference is held every two years at Les Pensières Center for Global Health. One of the very first international scientific events to focus on HIV/AIDS, it takes its name from the Cent Gardes building in Saint-Cloud, near Paris, that hosted the first conference in the series. Participants: Scientific experts from public and private research, hospitals, and universities, as well as health authorities from a range of countries. Subjects: The global epidemiological context, prevention and control strategies for infections, prophylactic and therapeutic vaccination strategies, diagnostics and access to care in developing countries. Focusing on issues in Global Health (covering healthcare, education, and economic power), the Charles Mérieux Conferences have been held every two years since 2007, each time in a different country (France, Canada, Laos, Haiti, etc.). They investigate healthcare training in developing countries, paying homage to the Mérieux Foundation’s founder, who saw health and training as “the essential pillars of collective and individual development”. Participants: International stakeholders in healthcare training. Subjects: Best practices in training and innovative, reproducible projects for developing countries.